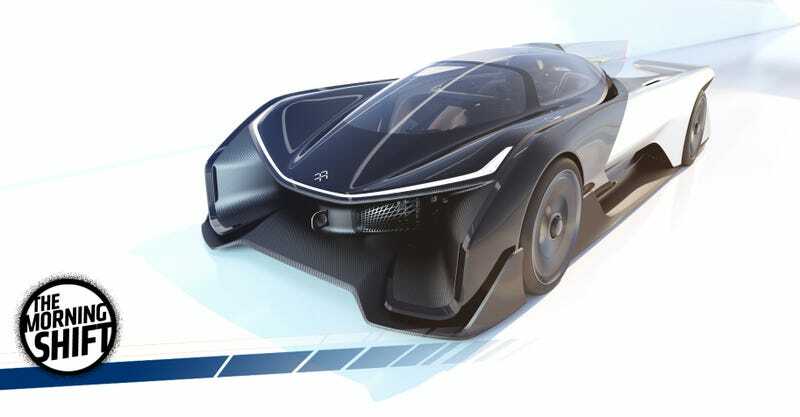 As we’ve covered extensively over the past few months, Chinese-backed electric car startup Faraday Future is running into financial problems, most recently including suppliers allegedly not getting paid and an apparent surprise $300 million hole. FF claims it will be a disruptor on the level of Tesla, but everyone’s waiting to see if it can even debut its production-ready cars at CES in Las Vegas in just a few weeks. In the meantime, FF took to Twitter last night to directly address what it calls “negative” press as of late, tagging reporters Raphael Orlove from Jalopnik, Priya Anand from Buzzfeed News and Frederic Lambert from Electrek, all of whom have documented the company’s troubles. I will merely add that “skeptical” and “inaccurate” are two very different things. Jalopnik stands by its story. Fiat Chrysler Automobiles NV (0QXR.L) said it is cooperating with the government investigation that covers the 2013-2016 model year Ram 1500 pickup truck and 2014-2016 Dodge Durango SUV. The government said it has reports of 25 crashes from owners alleging vehicle roll-away and nine injuries and urged drivers to set the parking brake before exiting the vehicles. The vehicles under investigation have an electronic rotary control for driver gear selections that is different to the shifter that Fiat Chrysler recalled earlier this year for roll away issues. In April, Fiat Chrysler recalled more than 1.1 million cars and SUVs worldwide because the vehicles may roll away after drivers exit. If you own these cars, be damned careful parking it. A group of Swedish institutional investors had bought newly issued preference shares that would have “an immaterial dilutive effect” on Zhejiang Geely Holdings’ current 100 percent ownership. Rising sales and profits at Volvo Cars have led to speculation of a stock market listing over the past year, although the company had said earlier this month it had no immediate plans to list. Diesel car owners sued Bosch in 2015 claiming the company helped design secret “defeat device” software that allowed VW to evade emissions rules and alleged Bosch was a “knowing and active participant” in Volkswagen’s decade-long scheme. Reuters reported in 2015 that the U.S. Justice Department was also investigating Bosch’s involvement. Ford had forecast the mix would be about 50-50 when the new Super Duty was launched, says Doug Scott, Ford’s Truck Group marketing manager. As a result, he adds that executives are “pleasantly surprised” at the results. Neutral: How Does FF Make It? Based on everything we’ve seen and heard, we don’t think Faraday Future is “vaporware” in the sense that the car and technology may not exist. The company has top engineering talent working on something that, by all accounts we’ve heard, is exceptional. The problem lies on the business end and all this promised Chinese money not arriving on time. And if it doesn’t have its cars ready for CES, I think its goose is cooked. So besides that, what does FF do to make it happen? Correction: This story has been updated to note the difference between the shifter in the Jeep Grand Cherokee, linked to Yelchin’s death, and the Ram and Durango rotary shifters under investigation here.